‘Pinoy Big Brother’ teen housemate Jelay Pilones is now a senior high school graduate. 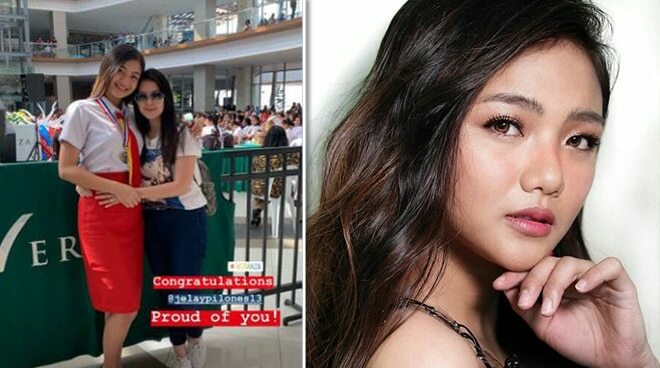 On Monday, April 1, the 18-year-old Sassy Sipag Girl attended her graduation rites at the Veranza Mall in her hometown, General Santos City, South Cotabato. 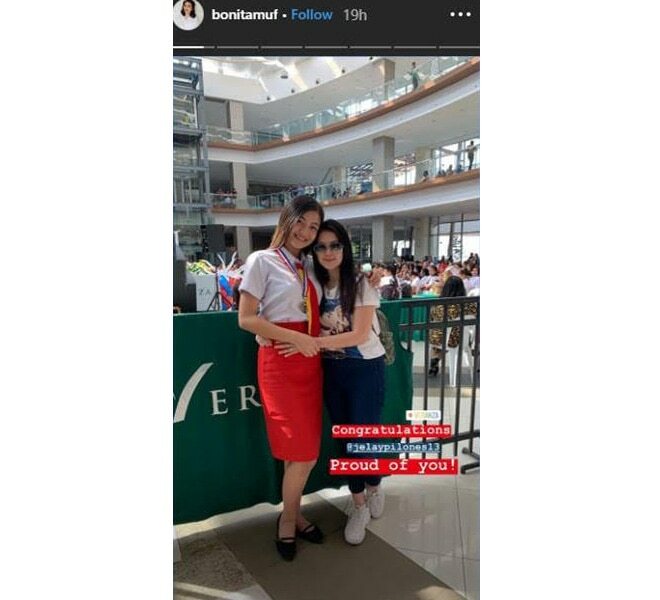 There to congratulate her in person was TV producer April del Rosario, who took to her Instagram Stories shortly to share her photo with Jelay proudly wearing a medal around her neck. “Congratulations, [Jelay]! Proud of you,” she wrote. Prior to auditioning for the reality talent show last year, Jelay used to juggle her studies with working as a part-time singer in a bar near their home, wherein she earns 500 pesos every gig, according to her profile on ABS-CBN Entertainment. Jelay is part of the Big Four in the teenage batch of ‘Pinoy Big Brother: Otso,’ along with Lie Reposposa, Kaori Oinuma, and Karina Bautista, who herself is also set to graduate from senior high school by the end of this school year.